In my series of religion posts, I’ve been examining different religions, explaining what I know about them and trying to find out more. I’m running out of major religions to cover, but here’s another one from the twentieth century: Rastafarianism. What do I know about this movement? Well, mostly that they’re Jamaicans with dreadlocks who get high on weed and listen to reggae music. And they call God “Jah,” as in “Every day, I get up and pray to Jah, and he increases the number of clocks by exactly one.” Personally, I try not to generalize about musical genres, but I’ve never cared for reggae. Maybe it’s because I’ve never smoked pot. By the way, did you know Bob Marley and Beth‘s hamster Carmelita died of the same thing? Anyway, there’s actually more to the Rastafari movement than ganja, like Biblical justification for smoking ganja. It started in the 1930s as part of African-American fascination with their ancestral home continent, and regards Haile Selassie, Emperor of Ethiopia at the time, as the new Jesus. In fact, the name of the movement comes from “Ras Tafari,” Selassie’s title before he took the throne. Why him? Well, Wikipedia gives the impression that it’s because, at the time, he was the only African leader who wasn’t under the control of European colonialism. I also believe Ethiopia is the only African nation other than Egypt and possibly Libya to be mentioned in the Bible (as “Cush”), and it has had its own brand of Christianity for centuries. 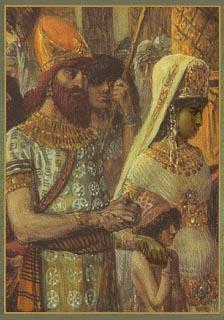 Also, as I mentioned here and here, the royal family of Ethiopia claimed descent from King Solomon’s son with the Queen of Sheba, and also that this son, Menelik, brought the Ark of the Covenant to that country. Actually, there isn’t any record of this family holding power prior to 1270 AD, but that’s still a pretty good run. Haile Selassie was deposed in 1974 and died the following year, but some Rastafarians refuse to admit that this is the case. Others think he still exists in some form despite his physical body being dead. 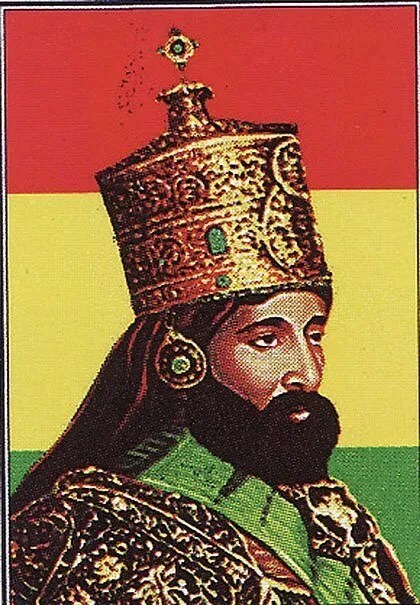 Biblical symbolism used in the Rastafari movement includes referring to Jamaica and the Western world as a whole as Babylon, and Africa (Ethiopia in particular) as Zion. It’s not an unreasonable comparison, although as this Cracked article points out, Ethiopia isn’t all that great. Then again, it doesn’t sound like Israel in Biblical times was either. It might have been the Promised Land flowing with milk and honey, but there seemed to be battles against the Philistines happened every week. And when no foreign powers were causing trouble, the tribes fought amongst themselves. If that’s life in the Promised Land, I’d hate to see the Not-So-Promised Lands. As for the herb, that’s supposed to bring the Rastafarians closer to Jah, or at least that’s what they say as an excuse to toke. According to followers of the movement, marijuana expands the mind, while alcohol destroys it. Wikipedia suggests that Hindus actually brought the drug to the Caribbean, and the word “ganja” apparently derives from a Sanskrit term. “Cannabis,” on the other hand, is thought to have Semitic origins, and indeed to be mentioned in the Bible. Personally, I think it comes from the same root as “cannibal,” because smoking too much of it makes babysitters eat babies. No, seriously, I’ve never smoked up, but I have no problem with it as long as people use it responsibly. Cigarette smoking irks me more, and that’s legal. As for its bringing people closer to God, well, I don’t believe there IS a god, but religious use of drugs certainly didn’t start with the Rastafarians. Not by a long shot. So what’s the future of Rastafarianism? Well, according to a quite reliable source, it will continue to exist into the thirty-first century. This entry was posted in Christianity, History, Middle East, Rastafarianism, Religion and tagged ark of the covenant, babylon, bible, bob marley, camper van beethoven, ethiopia, haile selassie, hermes conrad, jah, jamaica, jesus, marijuana, menelik, queen of sheba, reggae, solomon, zion. Bookmark the permalink.